According to Japanese reports, console and handheld publisher and developer Square Enix is going ahead with the purchase of Japanese arcade owner, arcade game and karaoke manufacturer, and console publisher/developer Taito. 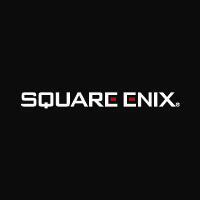 Square Enix has now purchased a total of 346,689 Taito shares, acquiring a 93.70% stake in the company. This means that Taito will become a subsidiary of Square on September 28, though the company has vowed that it will not change Taito's branding, thus preserving the name of the 1978 creator of Space Invaders. Taito, which currently makes the majority of its profits outside the console publishing and developing space, though still creates titles such as Puzzle Bobble iterations and the Rakugaki Kingdom franchise, had revenue of �84.6 billion ($772.1m) for the year ended March 31st. This compares to �73.9 billion ($674.6m) for Square Enix. Combined sales for the last year would put the company at �158.5 billion ($1.45bn) � extremely substantial, but still well behind Japanese game market leaders Sega Sammy at �515.7 billion ($4.71bn) and Nintendo at �515.3 billion ($4.70bn) - though these figures all include non-game software revenue from sources as diverse as pachinko sales, arcade center ownership, or hardware manufacturing.